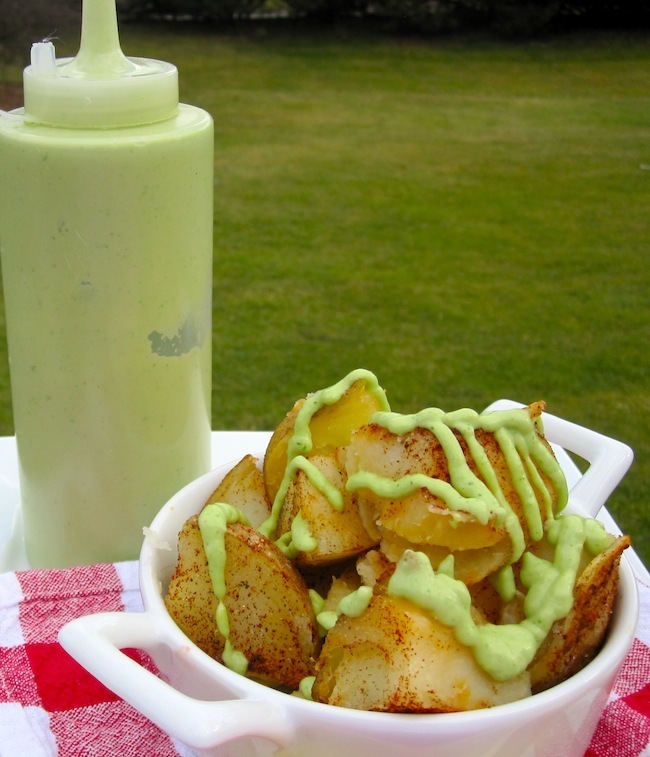 Papas con Salsa de Aguacate is an easy home cooked side dish that even your picky eaters will love. 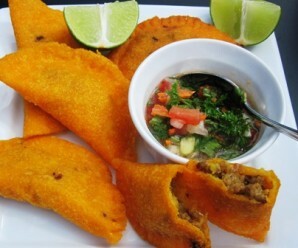 It is perfect for warm days and can be eaten hot or cold. It’s also a great snack to eat in front of the TV. 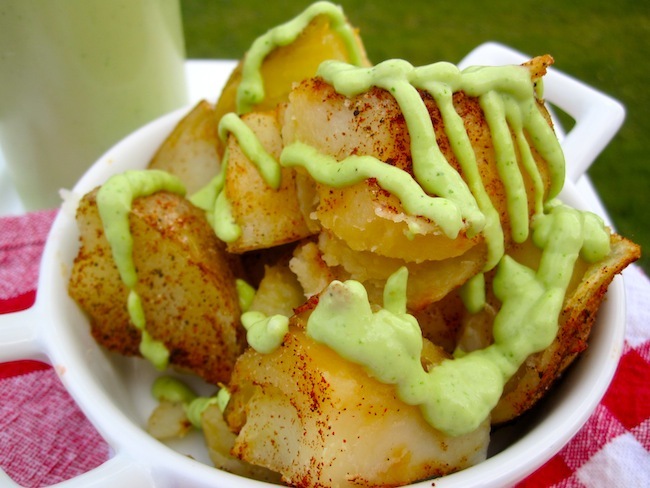 Cut the potatoes in quarters and place in a bowl with the oil, salt, pepper, garlic, paprika and cumin. Toss until the potatoes are coated. Place the potatoes in a baking pan. Bake in the oven for about 40 to 50 minutes or until browned. 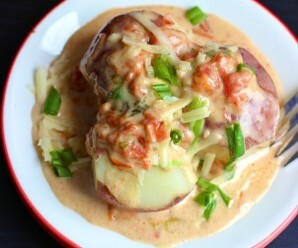 When the potatoes are cooking, make the sauce: Place all the ingredients in a food processor and process until smooth. Oh wow! I love the sauce. It looks so delicious! Totally my kind of dish. I would take that sauce with me EVERYWHERE. I stumbled upon this website like it was a pot of gold in the bush! I am a Canadian, married to a Colombian (from Bogotá). We lived there for almost 2 years, but now we’re back in Canada and I’ve seemed to forget how to do all that Colombian cooking. 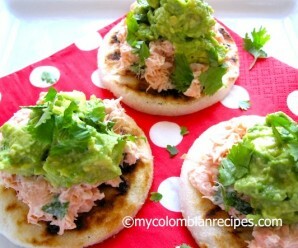 But today I made some of your recipes and surprised my husband and he was thrilled!! Así qué gracias, gracias, gracias!! Por favor no dejas de subir éstas recetas tan buenísimas! Great sauce like my guasacaca. Love the idea of using them on potatoes. This looks incredibly delicious! Wish I was eating it right now! 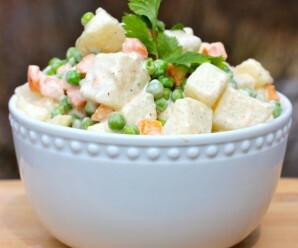 A recipe sure to be on our menu next week! 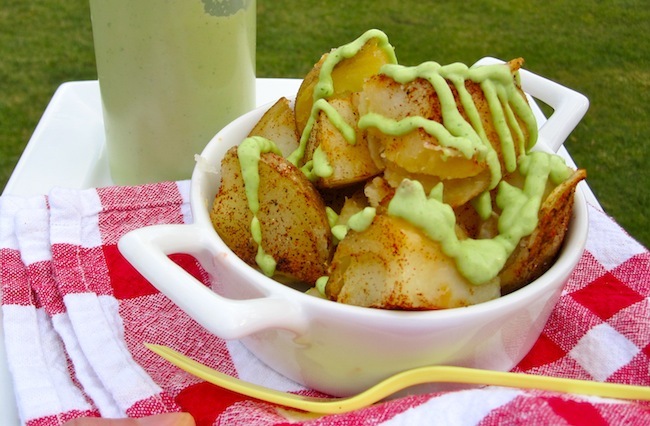 We love both potatoes and avocados and will be savoring this soon! 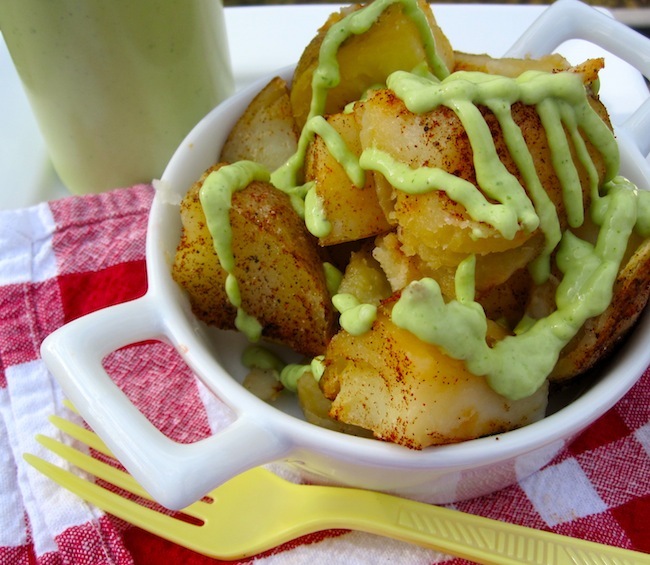 These potatoes sound 100% amazing and the avocado sauce ROCKS! That sauce sounds amazing – I could put it on everything! can i use sour cream instead of mayonaise? Does it get any better than this combo? I was going to make this great dish today but I stumbled over the relative amounts of potatoes and seasoning? Is there a typo somewhere? It sounds like an awful lot of seasoning for just 1/2 pound of potatoes. I believe the amount of potatoes was supposed to be 1 1/2 (1.5 pounds) of potatoes. I made the recipe with 1 1/2 pounds and the seasoning was perfect. ¡Qué rico! Que rico!!! 🙂 usted tiene la receta para el arroz verde? I usually keep it for about 3 to 5 hours. If you place the sauce in the fridge, mix it well before serving!